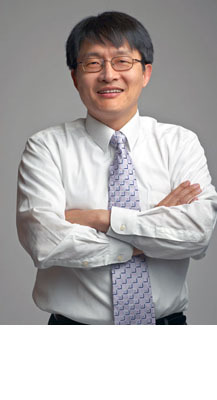 Kent Yu, PhD, PE, SE, has seventeen years of structural engineering, earthquake/tsunami engineering, and resilience planning experience. He has worked on projects of all construction types that include seismic evaluation and retrofit design of existing buildings, structural design of new construction, structural condition assessment, historic preservation, peer review, and post-earthquake inspection. Much of his evaluation and strengthening design work has been for public/civic/government, healthcare, educational and high-tech facilities that are required to meet stringent performance requirements. He has extensive experience in large-scale structural testing and finite element analysis, along with incorporating these results into design and evaluation. He is well known for his expertise on advanced performance-based analysis of structures, and his innovative solutions have saved hundreds of millions of dollars for owners on the West Coast. A seismic veteran, an earthquake/tsunami policy advocate, and a member of SEAO, ASCE and EERI, Dr. Yu has traveled to Peru (2007), China (2008), Chile (2010), and Japan (2011) for post-earthquake reconnaissance to study seismic and/or tsunami performance of buildings and lifeline structures. He applies the state-of-art technology (such as base isolation and energy dissipation devices) and most recent lessons learned from earthquakes to his building and lifeline projects to ensure that the buildings are safe and critical services remain protected after an earthquake. Since 2011, he has led or contributed to community resilience planning projects at national, state, and local levels. As the Chair of Oregon Seismic Safety Policy Advisory Commission from 2011 to 2013, he led a team of 169 expert volunteers to develop The Oregon Resilience Plan to better prepare Oregon for next Cascadia earthquake and tsunami. He also led a team to develop a resilience plan for the Beaverton School District, the third largest in Oregon, in 2015 and assisted National Institute of Standards and Technology (NIST) to develop Community Resilience Planning Guide for Buildings and Infrastructure Systems from 2014 to 2015. He was involved in the development of Water System Resiliency Plan for the City of Gresham in 2016. He serves on the Executive Committee and the Disaster Response and Recovery Committee of ASCE Infrastructure Resilience Division to promote disaster resilience of lifeline and infrastructure systems. He is also a member of the ASCE 7 Subcommittee on Tsunami Loads and Effects which is responsible for developing a national standard for tsunami design of buildings and other structures, and has served as research advisor at Oregon State University, Portland State University, and the University of Hawaii. Before he founded SEFT Consulting Group, he was Principal and Branch Manager of Degenkolb Engineers in Portland Oregon.